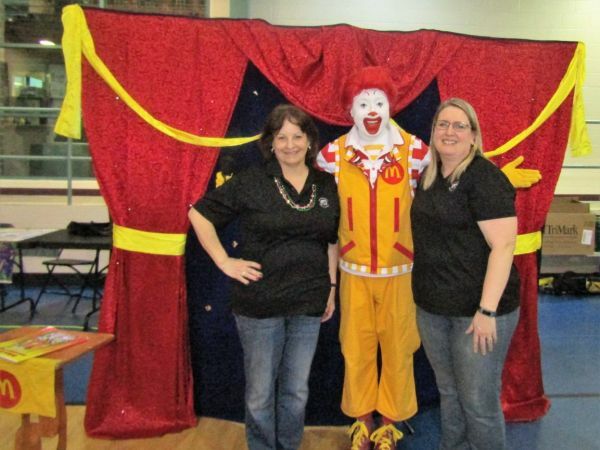 On Saturday, February 11th, Ronald McDonald was honored to take part in the Mardi Gras event at the Mount Prospect Park Dist. Ronald McDonald performed his magic show for all the kids and families to enjoy. Chosen to help with the magic coloring book was Kenny Lufitz. Keyera Bates enjoyed being Ronald McDonald’s assistant for the magic hat trick. Many Kids posed for pictures with Ronald. Ronald also had the chance to meet Bubba the 14 foot alligator that was there as part of the Park District celebration.